UN envoy says Gaza's sole power plant reached its highest production level since January 21. 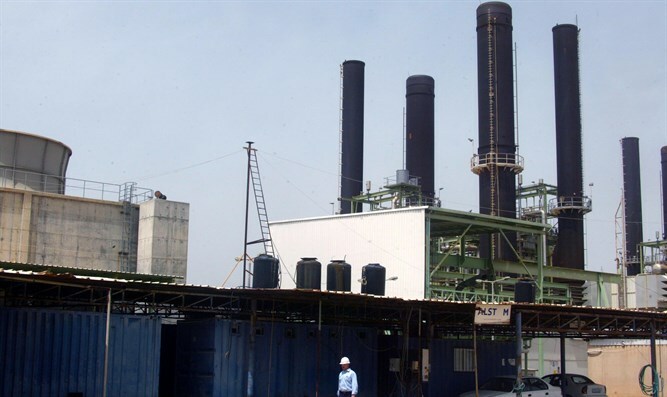 The sole power plant in the Gaza Strip reached its highest production level in months on Thursday, the United Nations said, following a deal to overcome chronic power cuts, AFP reported. "Today the second turbine of the Gaza power plant starts producing 52 MW, alleviating the suffering of two million Palestinians in Gaza," UN envoy Nickolay Mladenov, who helped broker the deal, said on Twitter. Mladenov said Thursday's supply reached 172 megawatts, the highest since January 21, although far from the 500 megawatts needed for the strip to have full power. Qatar recently agreed to fuel deliveries to Gaza for a period of six months as part of the deal brokered by Mladenov. The agreement angered the Palestinian Authority (PA), which then announced it will no longer work with Mladenov. UN officials hope the deal could significantly increase electricity rates in Gaza, where residents receive only a few hours of mains power a day. It could also help calm tensions between Gaza's Hamas rulers and Israel. Fuel deliveries were temporarily suspended by Israel over violence along the Gaza border but resumed Wednesday. The PA has repeatedly criticized the UN and Egypt-mediated talks on a ceasefire between Hamas and Israel. One report indicated that PA chairman Mahmoud Abbas had threatened to cut all contact with Israel, should the Jewish state reach a ceasefire agreement with the Hamas terrorist organization.